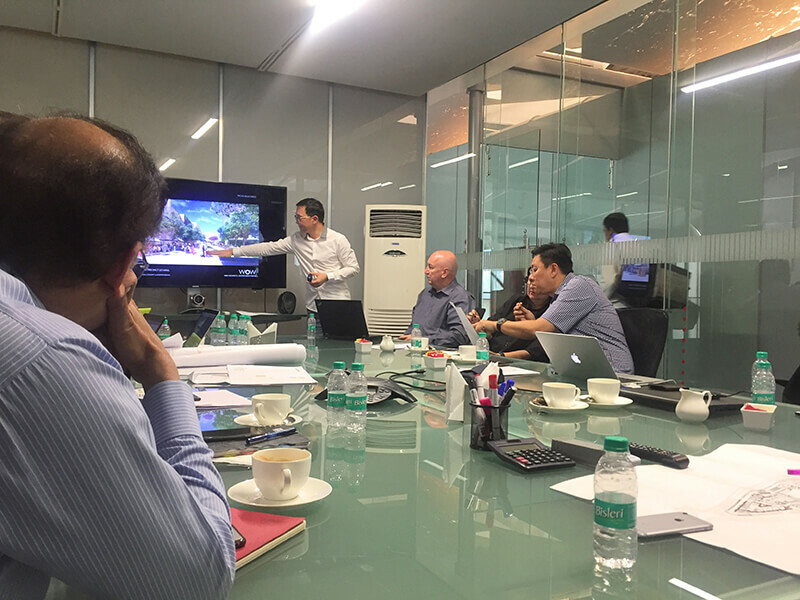 Workshop with WOW architects on design of Bhartiya City Retail. 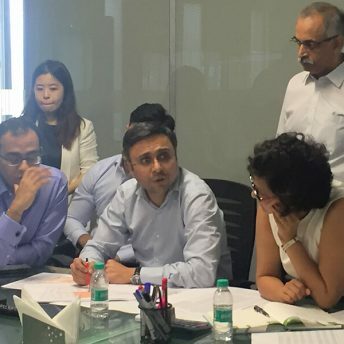 On 7th June, a full day design workshop of retail was held at Bhartiya City. 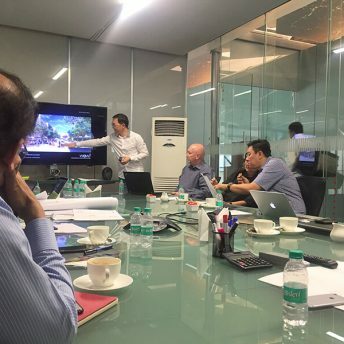 The workshop included the team from world renowned WOW architects including Wong Chiuman and Maria Warner Wong with our retail experts and architects. 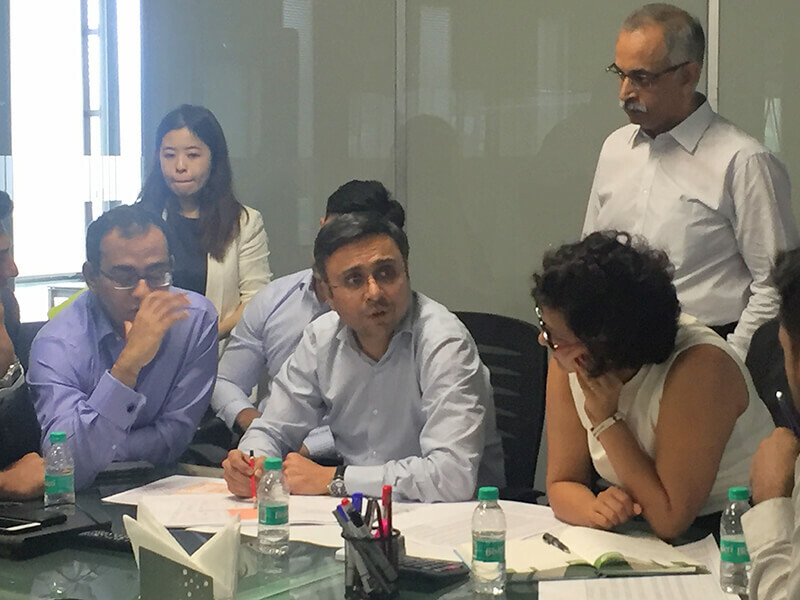 The agenda of the workshop was to discuss the design and concepts of the retail at Bhartiya City. The team from WOW presented some very interesting and innovative concepts. 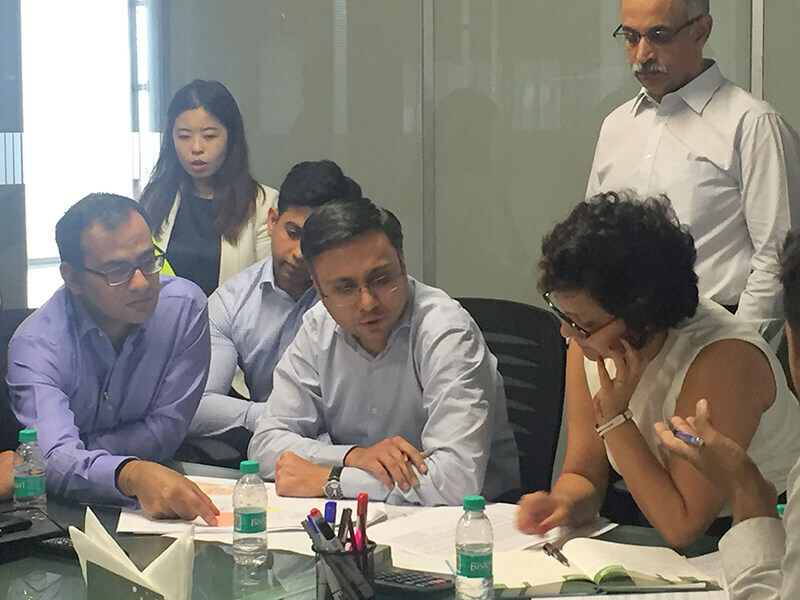 It was discussed how the retail at Bhartiya city is not just a shopping centre but its a destination. Its being designed in a way that it provides arenas for people to feel good, celebrate and relax. Its meant to invite people to have a good time with friends, family or themselves. It was discussed how good design can enable human interaction and simplicity can be empowering. Interestingly, Wong Chiuman emphasised that in the current world, the face of retail is changing very quickly and technology is is going to shape the future of retail experience drastically. Hence its important to keep infrastructure simple and provide opportunity for adaptation in design and experience. Undoubtedly, sustainability is at core of most architecture discussions. The designs and concepts were focussing on simplicity, optimising energy usage and natural light. 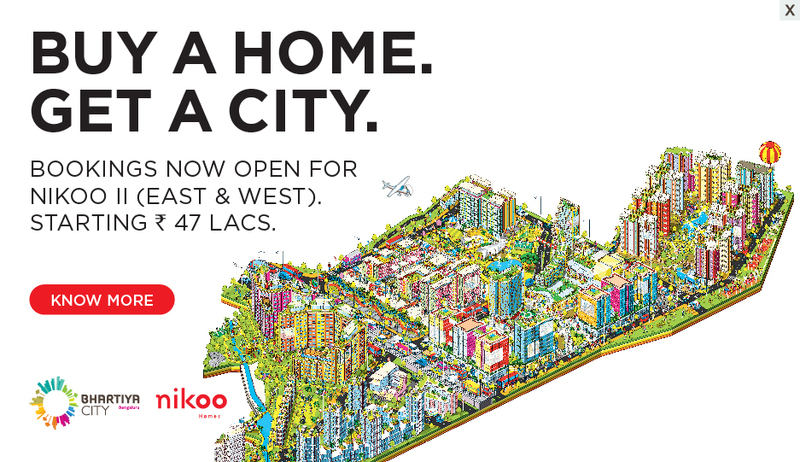 The core aim is to make it the Vibrant City Centre that becomes a destination. Sustainability is not just about saving energy, its about making it simple and efficient in all ways. Right from color, texture, landscape to navigation, interior design; every component needs to be sustainable. The design of Bhartiya City Centre has derived inspiration from some of the best destinations from around the world to bring out the the best and most relevant experiences together. Our Chairman, Snehdeep Aggarwal emphasised that the focus needs to be on providing the best environment for human interaction. The North of Bengaluru is one of the fastest developing pockets in all of India. 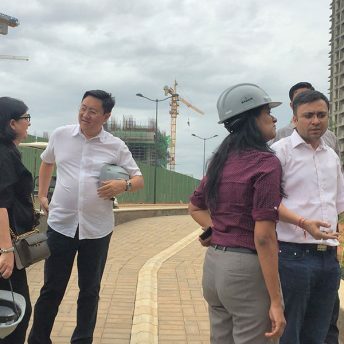 It’s an area of approximately 2500 acres with an estimated 20 lakh families who will live here by 2020. On any given weekend, they are going to want to head to a place where they can find some real entertainment. The Great Mall of Bengaluru is located bang in the centre of a convergence of three streams of thrill seekers. 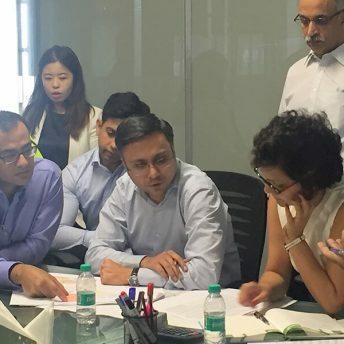 It was reiterated that Bhartiya City is an inclusive and sustainable development integrating homes,work spaces, shopping spaces, hospital, school, parks and bike paths to enliven and enrich citizens’ lives. A city where local colour is celebrated and championed and Global Best Practices meet Indian culture and sensibilities. 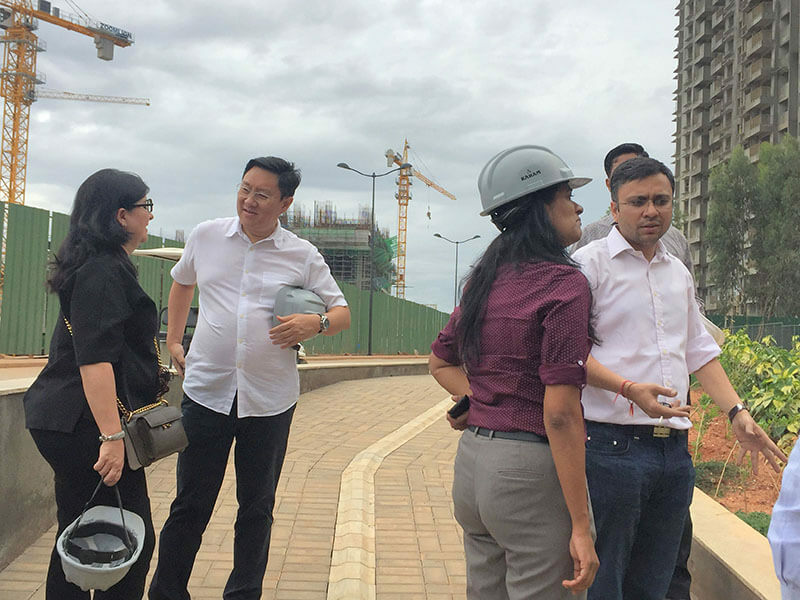 It was a pleasure to have team WOW at our site and we did some great progress. They have been very special partners in the journey of building the City of Joy.